The rich flavor of wild caught Alaskan King Salmon is tamed with a teriyaki marinade. It is then hickory smoked to perfection. 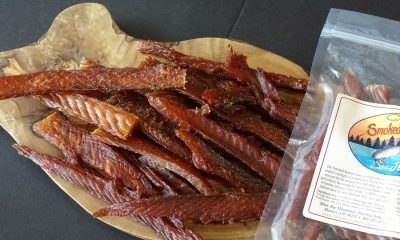 Solid strips of 100% Alaskan Salmon make this Salmon Jerky authentic, with a mildly sweet flavor. 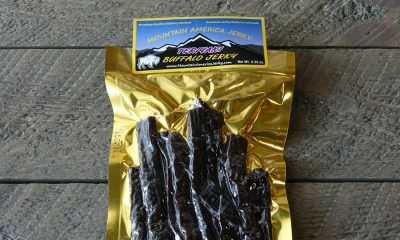 All at once, this jerky is a healthy, flavorful, sweet, salty snack treat. Salmon is thick cut, marinated, and smoked daily. It is preservative-free with no added MSG, nitrates, or other fillers. 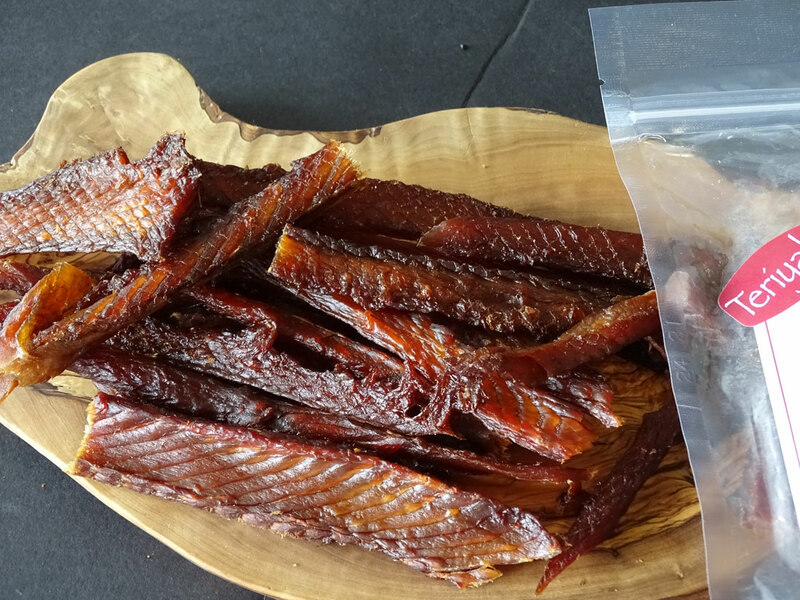 Try our Teriyaki Salmon Jerky and discover a healthy snack option with a multifaceted flavor. The great thing was that it didn’t feel like it was overly sweet and was just the perfect amount of flavoring. I’ll be honest and say my mouth is watering at the the thought and will definitely plan to order more! Really, really good Teriyaki Salmon jerky. Moist & flavorful. Nice packaging for a gift. My son raved about it! Will be ordering more for Christmas gifts! Thanks again! Absolutely loved the TSJ! Ive had alot of salmon jerky, but this is the best I have ever had. DEFINITELY and must try. You won’t be disappointed. Had a friend try it, and she is hooked! No pun intended! The teriyaki jerky is really good. 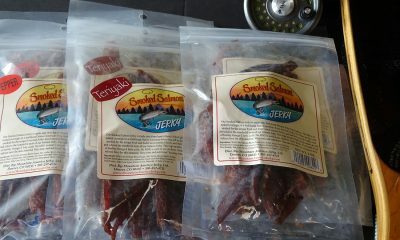 I stopped eating meat (except fish) about 10 years ago and I missed jerkey. A friends dad made salmon jerky and it was good, so I tried this one and it was like a throwback to the good ol’ days. It’s pretty spendy for not a lot, hence the 4/5 stars. I wish it was a better value, especially since there are no salmon bones in it, at least in the Few I bought. (Teriyaki Salmon review) I was debating on whether to use this site or some other ones I found, but after seeing this company’s BBB rating (Better Business Bureau), which is an A+ by the way, I decided to go with Mountain America and I must say that this is some of the best jerky I’ve ever had. Especially the teriyaki salmon! 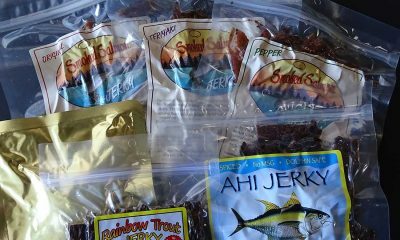 (Teriyaki Salmon review) This is without a doubt the BEST jerky I’ve ever had, anywhere! I ordered turkey, beef and salmon and so far it’s just delicious; moist, chewy but not so much your jaw gets tired 🙂 and nicely spiced so it’s lively but not too much for wimps like me. We’ll definitely be ordering more, nothing we’ve bought or tried before was this good.